[Updated 4/7/15, 5:13 pm. See below.] In the increasingly active genetic testing space, Natera is trying to lead the pack by harnessing its testing capabilities. And it has plenty of money to do so, after announcing a $55.5 million round of funding led today by Sofinnova Ventures and a group of crossover investors, including Capital Research and Management, Franklin Templeton Investments, Jennison Associates, RA Capital Management, Healthcor Partners, and OrbiMed Advisors. Natera, which last raised a $54.6 million round in May 2013, is using the money both for research and to add to its marketing and sales reach worldwide. That research is key, because Natera’s priorities could help the company expand beyond its existing test, a screening for chromosomal abnormalities called Panorama. These tests use a mother’s blood, not an invasive needle, to test for chromosomal abnormalities including Down Syndrome. 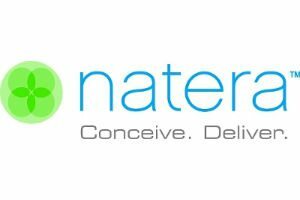 Natera says its tests are not cleared or approved by the FDA. The possibility of cancer testing became clearer after researchers reported a woman who was diagnosed with metastatic disease after a prenatal test in 2013. Sequenom (NASDAQ:SQNM), a San Diego-based company with a prenatal detection test of its own, reported 40 cases in which the genetic profile of the mother who took its test suggested she had cancer, which BuzzFeed News first reported in March. Of the 40 women, 26 cancer cases were confirmed, BuzzFeed says. Two other U.S.-based companies have prenatal tests of their own, including Ariosa Diagnostics, which had planned an initial public offering before it was acquired by Roche in December. Terms weren’t disclosed for the buyout of the San Jose, CA-based company, though it had planned to sell 3.5 million shares in the $16 to $18 range, for a potential market value of $323 million, as Xconomy reported in December. Whether a public offering is in Natera’s future remains to be seen, though the addition of another late stage offering with significant crossover investors gives reason to watch the business closely. Natera is also using the funding to work on its existing products, including Panorama, and on clinical trials. “This investment is a significant endorsement of our cloud-based bioinformatics and molecular technologies, and our deep R&D pipeline,” Matthew Rabinowitz, CEO of Natera, said in a statement.